OK, on to D&D stuff... First piece of news: Dark Sun has left design/development, and is now in editing. I've been working furiously on various pieces of this project since May, so it's a great feeling to move on. In my last couple of weeks I was working on smoothing out the writing and presentation in a few spots, trying to marry together the tone and style of several different authors and looking for anything that needed adding at the last minute. For example, Rodney Thompson came to bug me a couple of weeks back about the dragonborn entry in the Races chapter. (They get an "Other Races" style entry sort of like the ones from the FRCG or the Eberron CG.) He pointed out that while we'd tied them in with the world story well enough by marrying the dray concept with the dragonborn concept, we hadn't really done anything different with the essential character of the race. (In Dark Sun, elves are nomadic raiders, gypsies, and thieves; halflings are fierce warriors and cannibals; and so on.) In our design draft the dragonborn/dray were a race of mercenary warriors... not really all that far off their core D&D identity. If we were going to include a Dark Sun take on dragonborn at all-and we felt pretty strongly that we ought to, since there are plenty of players out there who are new to the game with 4th Edition and regard dragonborn as part of the game's core identity, just as much as elves or dwarves-then we ought to say something new about them and challenge the established conceptions of the race. Anyway, Rodney's point challenged me to think hard about the dragonborn and what sort of Dark Sun "spin" we'd put on the race that would make them distinctly Athasian. My first response was "They're a race of bloodthirsty killers!" because really, that should be your first response to anything in Dark Sun. But that was a little too easy, and I tried to really think it through. It occurred to me that the noble-warrior theme for the race talked a lot to their natural Strength boost... so what would talk to their Charisma boost? Maybe the Dark Sun dragonborn are a race that emphasizes the force of will, ambition, and drive wrapped up in that Charisma boost instead of pure physical combat skill. So thatsuggested a much stronger emphasis on their natural talent for sorcery instead of swordplay. And maybe they are essentially dishonorable rather than honorable-not in a stab-you-in-the-back kind of way, because who would want to hang out with them, but more in a basely motivated way. Maybe the dragonish impulses of avarice and pride are very, very strong in Athasian dragonborn. Finally, the core story of dragonborn is that they're a race of loners who don't see each other all that often, so maybe in Athas they're more social than you might expect. Dragonborn clans look out for each other, and if you mess with one dragonborn in the clan, you mess with them all. They're big into vendettas and punishing people who offend or injure one of their own. Take that all together, and you've got something interesting with these guys: The dragonborn (or dray) are a race of sorcerous merchants, hired spellcasters, pragmatic mercenaries, and maybe even slavers. They're not especially numerous, so you don't see a lot of them around. Their clans are like small, insular merchant houses, and they might serve as deal-brokers and moneylenders: disliked in many places, but regarded as very useful to have around. Heck, maybe some clans bribe the sorcerer-kings and templars for dispensation to practice magic or sell their services as assassins. That's a pretty different slant on the dragonborn, one that will let you play an Athasian dragonborn as a much different type of person than you might have thought to try with the core story. And that's part of the attraction of the Dark Sun setting: It shakes up the familiar roles and stories, and mixes them in a new way. Hi, there! 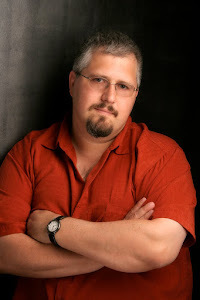 I'm game designer and author Richard Baker. I worked on Dungeons & Dragons for TSR Inc. and Wizards of the Coast from 1991 until just this year. Now I'm ready to try some new things! Some of my notable game credits include: Birthright Campaign Setting, Alternity Science Fiction Roleplaying Game, Forgotten Realms 3rd Edition, Tome of Battle: Book of Nine Swords, Manual of the Planes 4th Edition, Conquest of Nerath boardgame, Axis & Allies Miniatures, Axis & Allies Naval Miniatures, and Axis & Allies Air Force Miniatures.